Specially designed for making all kinds of small loaves: Brioches, Hot Dog Rolls, Buns, Small Buns, Finger Rolls, Small Bread Rolls, etc ... Ideal for both bread and pastry dough. From 15 to 150 gr of dough. 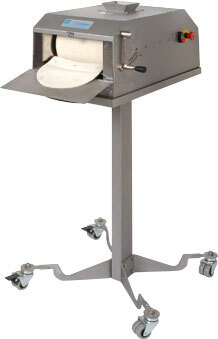 Fitted with two regulators for obtaining different loaf lengths and shaping the ends of the loaves. 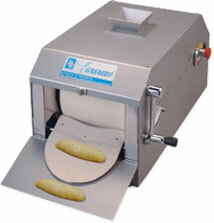 Large production capacity, as it makes one loaf in less than one second. High quality fabrication. Made entirely of stainless steel (AISI 304). Occupies very little space.